moisture .Remove chenna into a plate and mash with the palm of your hand till smooth. and shape them into balls. 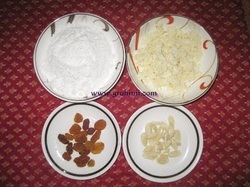 Place the dry fruits on top and serve.